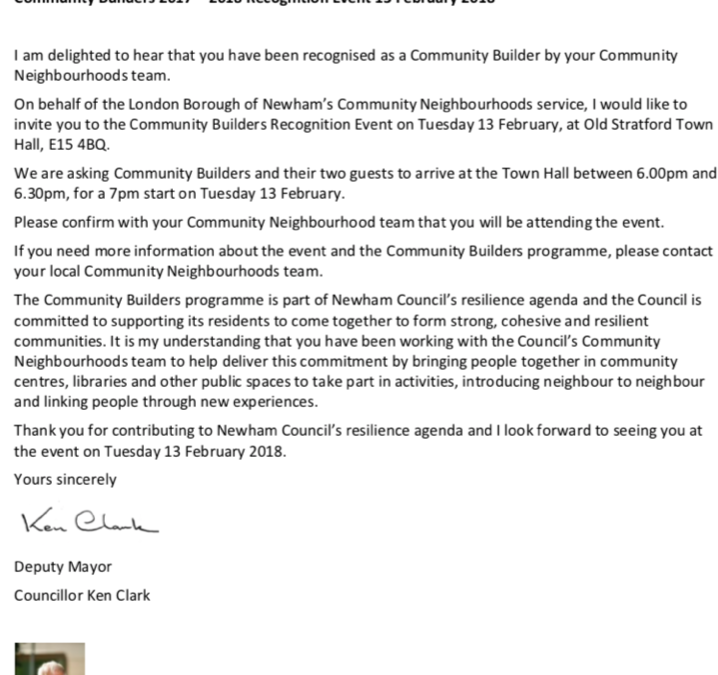 I am a Newham ‘Community Builder’! 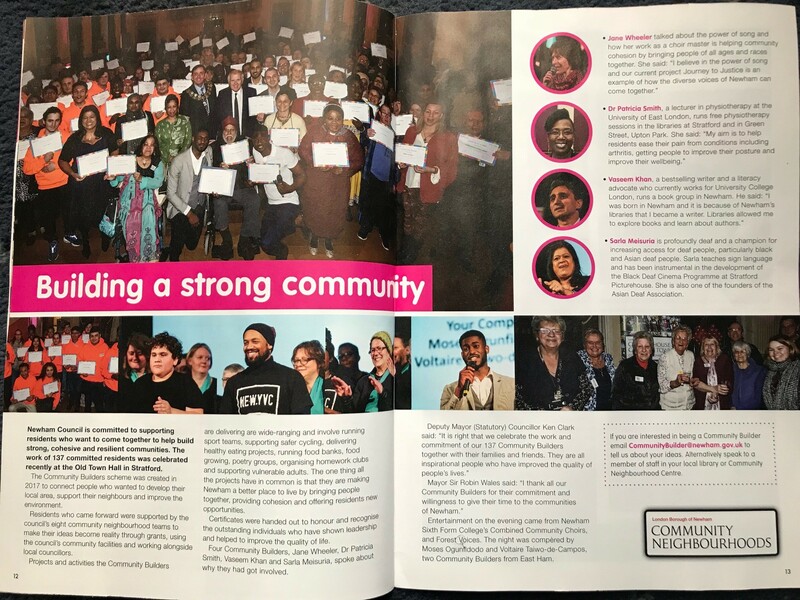 I am extremely honoured to be recognised as a Community Builder by Newham Council! 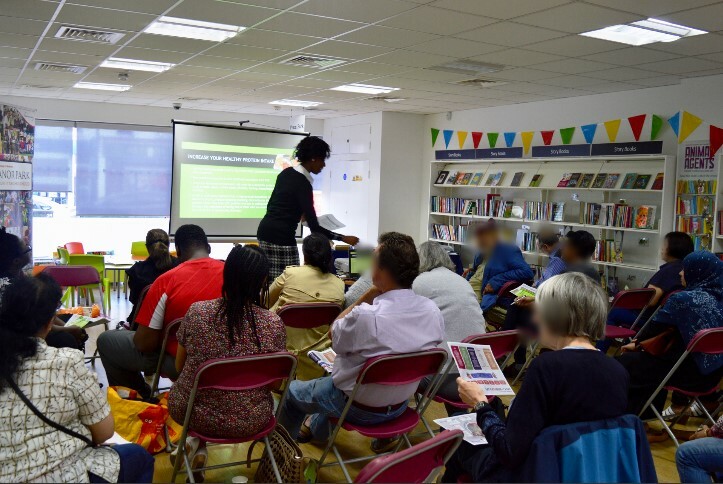 The Community Builders scheme was created for people who want to DEVELOP our LOCAL AREA, SUPPORT RESIDENTS and IMPROVE our ENVIRONMENT. 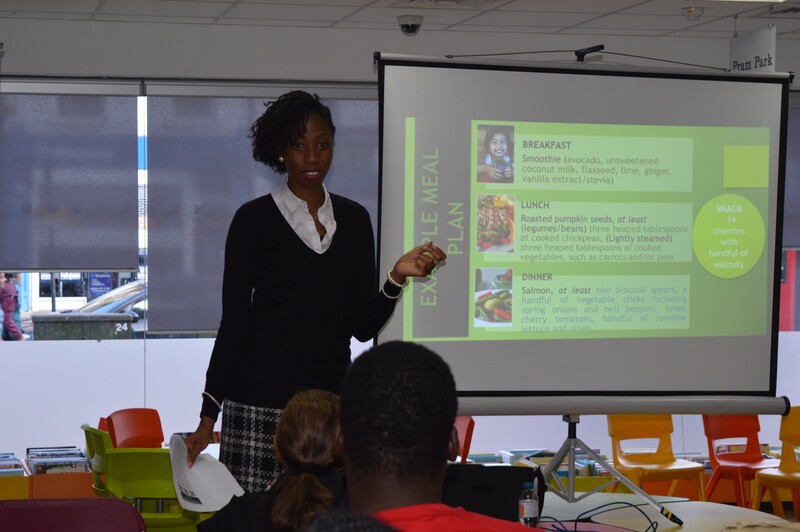 In the summer of last year, I attended a couple NEWHAM DIABETES SUPPORT CLUBS and had the pleasure of delivering a NUTRITION PRESENTATION (21st July 2017) on the topic. 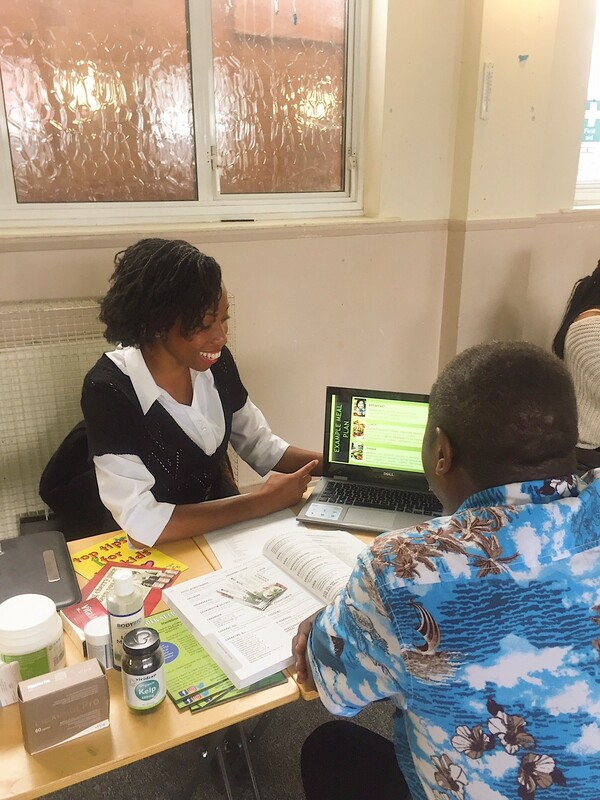 I also helped organise and had mini-consults with people at the FHM’s PLAISTOW COMMUNITY HEALTH DAY (15th July 2017). 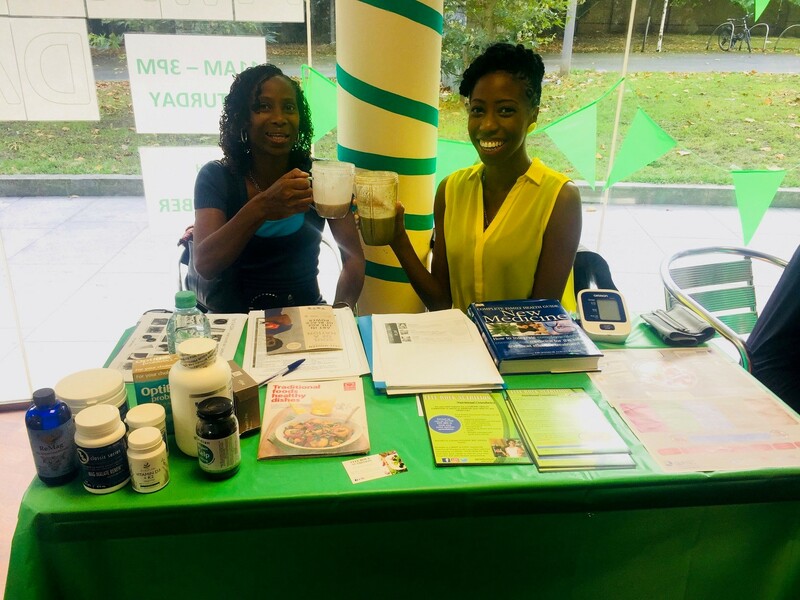 I also attended and offered general nutrition advice at the FREE HEALTH AWARENESS DAY at Lime Tree Surgery (9th Sep 2017), which is technically not in Newham but still in a neighbouring community I enjoy supporting! 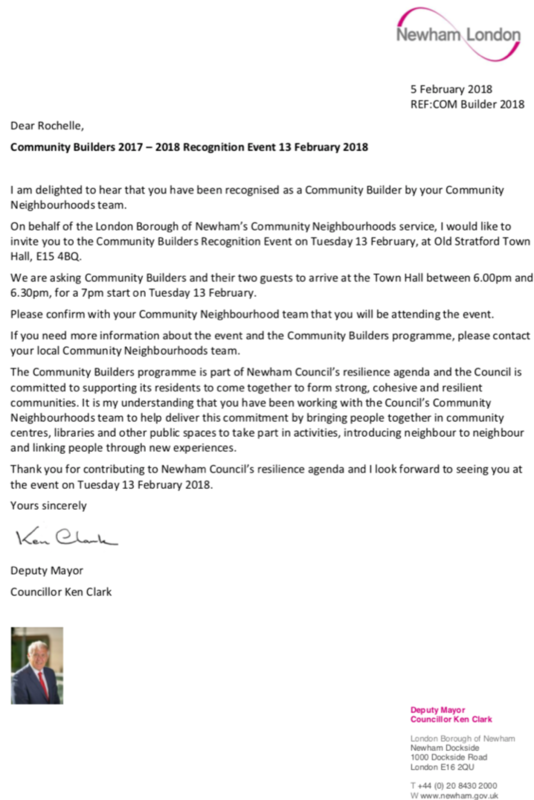 On 13th February 2018, a Community Builders Recognition Event was held to commend all the 137 community builders. Local Mayor Sir Robin Wales and local Deputy Mayor Councillor Ken Clark attended also! For bookings and enquires please contact me.